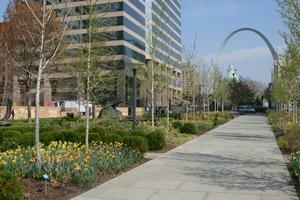 A unique and highly maintained cultural attraction in downtown St. Louis, MO. For more about the Citygarden, visit citygarden.org. Complete PERENNIALS OF THE CITYGARDEN and perennial replacement analysis as of December 10, 2014.